Whether you love to swim in clean blue water or simply enjoy the ocean breeze while witnessing such breathtaking beach view, Yogyakarta’s beaches offer everything that will make you want to stay. 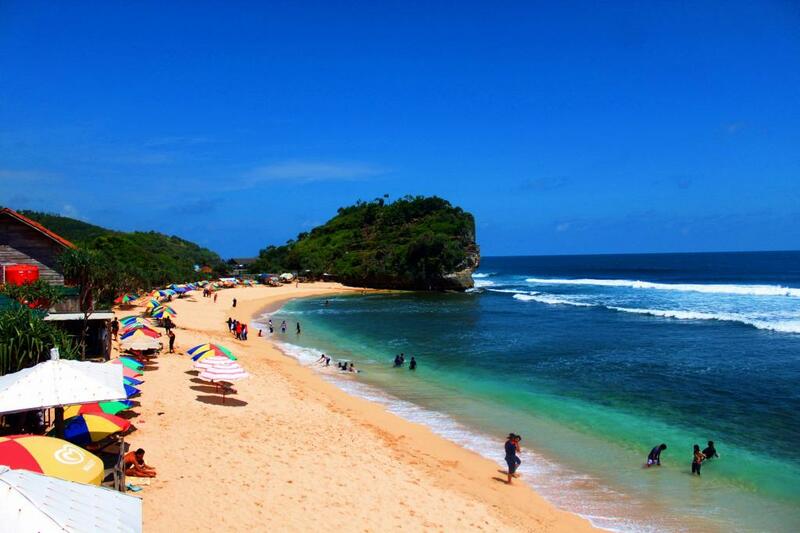 Then, one of the beaches that you shouldn’t miss in Yogyakarta is for sure Indrayanti Beach. Situated in the coastal Sundak, Tepus, Gunung Kidul Regency, this beach is actually one of the most popular beaches in Gunung Kidul. Famous for its beautiful white sand and beautiful blue ocean view, the beach is highly recommended for every tourist after enjoying Borobudur sunrise tour. It is beautiful, clean and packed with numerous exciting activities to do. Do you want to get more? Here are some of the highlights of this beautiful beach. The first thing that you can expect from Indrayanti Beach is for sure the clear water as well as the magnificent view it offers. There is no doubt that you will be able to get relaxed while enjoying the beauty that it offers. Taking some beautiful photos will be more fun as well since there are so many great spots available. Another appealing side of Indrayanti Beach compared to the other beaches around is that it has numerous restaurants and cafes which are located close to the beach. You can even expect for a romantic dinner when you come to this beach. More interestingly, the restaurants and cafes also offer huge variety of menus ranging from fried rice to seafood. Then, you can enjoy your meals while facing the magnificent view of the beach in front of you. Then, you can also do a lot of fun activities while you are here. If you love water sport activity, there is jet sky which is available to be rented by visitor. It will be a great experience to try this at Indrayanti Beach since you will have more opportunity to explore the beauty of this beach. On the other hand, you can also play on the shore while enjoying the waves which swept the beach. Moreover, you can also go for sunbathing while you are here. Then, to help you get the most of your trip to the beautiful Indrayanti Beach, here are some tips that you should take into account. First, it is highly recommended for you to go with a trusted travel provider so that you can get the best experience there. Next, you can consider leaving early to head to the beach especially if you want to explore another beach near Indrayanti Beach. The last, you can consider staying in the inn around the beach for extending memorable experience at Indrayanti Beach. So, are you ready to go for a new experience at Indrayanti Beach? Visit www.jogjabromotour.com for the best travel provider in Yogyakarta. Here you can find a lot tour packages including Borobudur sunrise tour and Indrayanti Beach tour. That’s all!